Summertime means blackberries are ripe for the picking in the Willamette Valley. So, when TakeRoot Magazine offered to let me play in the kitchen, I stayed there until I remembered this idea for the Summer issue. If you're like me, you've got plenty of recipe options for jam and pie, so try something a little different. 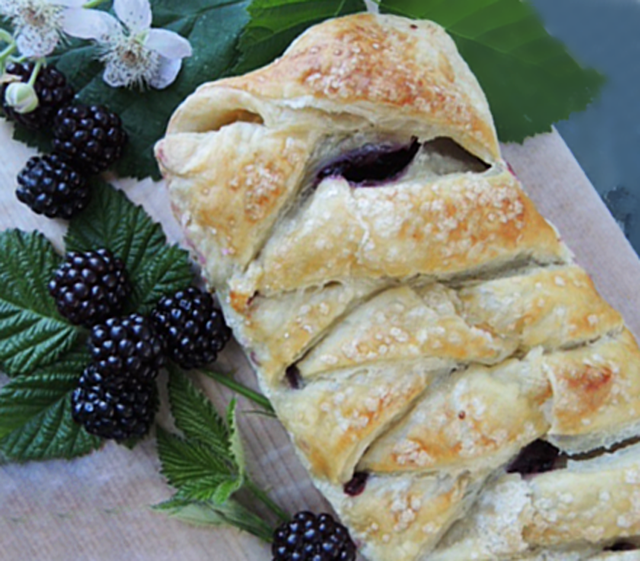 This simple puff pastry braid is easy to make (beginners will like this one), looks fancy enough to impress the neighbors and, best of all, it's versatile. Try option 1 if you love the lemon and blackberry combination, or option 2 for an orange liqueur version. Enjoy the summer, and have some dessert!